Rufus the weimaraner is Missing. Heide Stansfield has lost her dog Rufus. A desperate search is underway for a much loved family pet who went missing on January 13. Rufus, a Weimaraner, went missing at 4.30pm outside the gates of the Tewkesbury Park Hotel. Rufus is a 2 year old Weimaraner, German gun dog, we rescued him 8 months ago from Cheltenham Animal Shelter. He is mirco-chipped and neutered and has a small distinctive scar on the bottom of his tail near his spine. When he went missing he had a black material collar on with white paw prints. He loves food, so this would be the best way to catch him. 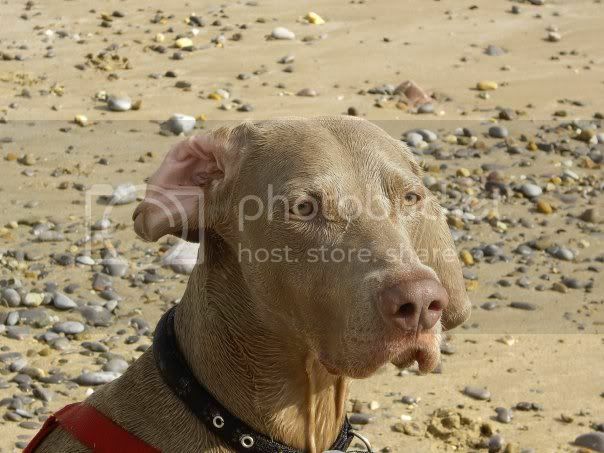 We love him and miss him terribly, just want him home – our other Weimaraner Holly misses him too! Please help and show your support.